Vijender Singh arrived Dublin on Thursday with his Indian promoter Neerav Tomar and trainer Lee Beard. Vijender arrived Dublin on Thursday with his Indian promoter Neerav Tomar and trainer Lee Beard. The middleweight ace takes on Nottingham's Dean Gillen in a four round middleweight contest on the undercard of Irish hero Jamie Conlan, who headlines the show, and big-hitting Jamie Cox who defends his WBO European Super-Middleweight title. 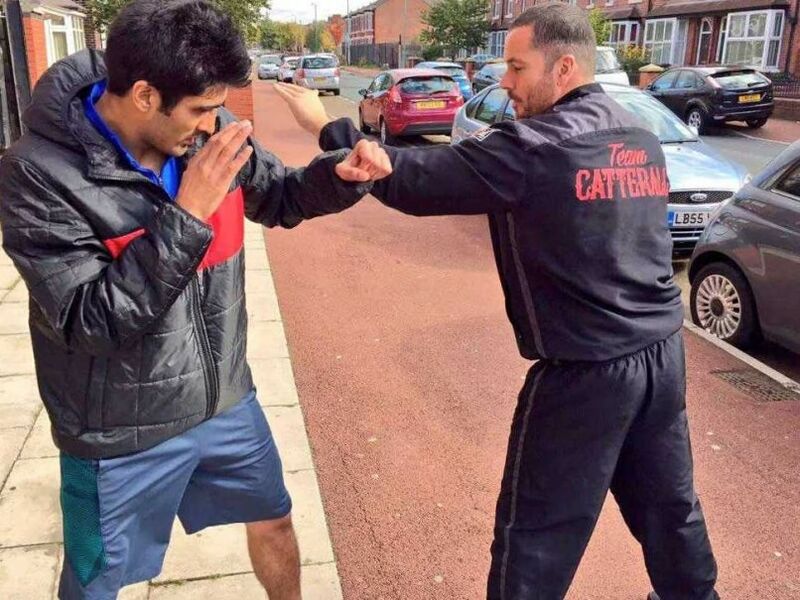 Vijender, 30, destroyed his debut opponent Sonny Whiting inside three rounds last month in Manchester with a devastating display to mark his arrival in the professional ranks following a glittering amateur career that saw him win bronze at the 2008 Olympics. Now he is looking to replicate that exciting showing and attract a new legion of fans in the boxing mad city of Dublin in his second professional fight. "This country has many great, great, fighters that have come out over the years and the fans are very knowledgable so they know the real deal when they see it," he said. "Steve Collins is one fighter that impresses me very much, his relentless pressure in the ring, his grit and determination and his fire and passion in the ring. Of course he was world champion at my weight and at super-middleweight which is an amazing achievement to become a dual weight champion and I aim to aspire to his achievements one day. "My professional debut was only last month but it seems like ages ago so I'm desperate to get back in the ring and do what I do best, fight and win," he added.